Love citrus of all kinds! What beauties! 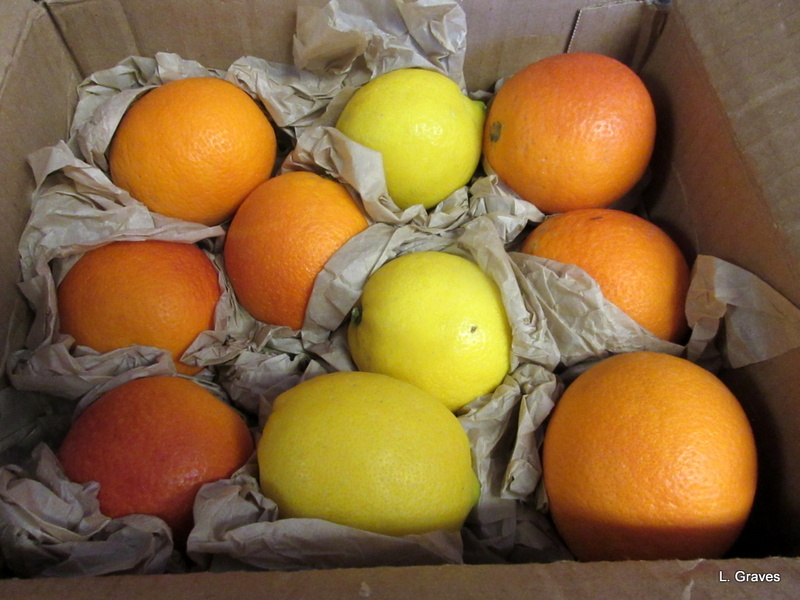 I lived in Auckland in the 70s and had orange and lemon trees then but my fruit didn’t look nearly as good as your friend’s. That must have been a real treat. So good and full of vitamin C! Wow, what an awesome treat! Lemon poppyseed cake with lemon glaze?? And an orange and roasted walnut salad. I can just about smell those. What a great gift! My gosh, what a treat! Nothing like homegrown fruit! I have a friend in Florida who grows mangoes, too. D > Oh isn’t that a lovely surprise! Wow, that’s more special than ‘the same thing’ from the supermarket! Thank you, Betsy for sending warmth to Maine: the warmth of your generosity and the warmth of the beauty in your home grown fruits.